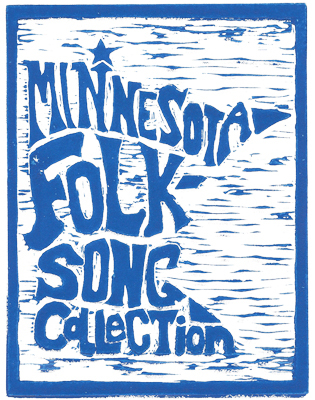 The Minnesota Folksong Collection is an online digital library for audio field recordings, song texts and and other materials documenting traditional folksong from Minnesota. The current collection consists of a set of songs recorded by folklorist Robert Winslow Gordon in 1924. The original Gordon recordings are housed at the Archive of Folk Song, now the Archive of Folk Culture at the Library of Congress. 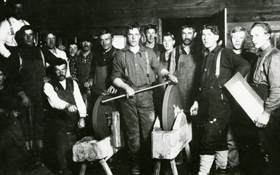 Gordon's "Minnesota recordings" were left largely unlabeled and undocumented by Gordon and were thus not connected to Minnesota in the archive's finding aids. 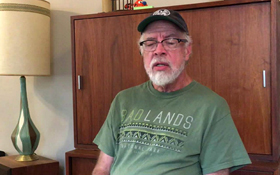 In 2012, after finding a 1924 newspaper article describing one of the recording sessions, Brian Miller was able to identify over 40 songs sung by Minnesota singers and recorded by Gordon. Michael Cassius Dean (1858-1931) lived in Virginia, Minnesota in 1924 but was recorded at the home of his sister Mary (Dean) Bird in Canton, New York. Gordon recorded these singers over ninety years ago on wax cylinders and the sound quality of most of the recordings is unfortunately very poor. Gordon also opted to conserve valuable space on his cylinders by recording just one or two verses of what were, in most cases, much longer songs. Luckily, both Michael Dean and Reuben Phillips left us with complete written texts for almost all of the songs they sang for Gordon. In Dean's case, most of his full texts appear in his self-published 1922 songster The Flying Cloud. Reuben Phillips included texts to most of his songs in a handwritten letter sent to Gordon in March 1924. The Phillips Manuscript is also part of the Gordon Collection at the Archive of Folk Culture. Song texts sourced from these documents are included in the Minnesota Folksong Collection along with sheet music transcriptions of all song melodies as sung on the cylinder recordings. 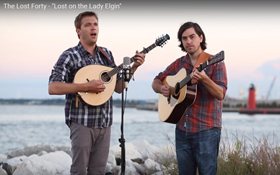 Funding for the Minnesota Folksong Collection comes from the generous supporters of a March 2016 Kickstarter crowdfunding campaign in combination with a Folk and Traditional Arts grant from the Minnesota State Arts Board.